Katy Perry came to Auburn in 2001. We know that now. But then Mr. Bagwell was all like, uh, wasn’t she a student here in the 40s? Essie Crumpton probably kissed a nice Auburn boy and got pinned and engaged and married and liked it happily ever after. Dude, it’s just like time-traveling Nicolas Cage and John Travolta (another star with Auburn connections). Seriously, Gawkwer needs to run with this (just be sure to link GAUker). 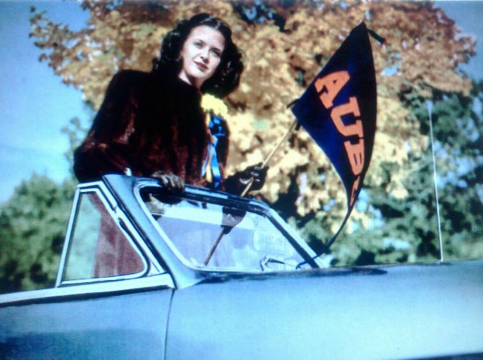 Auburn coeds actually have a proud history of doppelgangin’ with celebrities past and present. Bobby Lowder’s sister-in-law was once the spitting image of Community and Mad Men star Alison Brie, and “Sylvia Brown” may actually, literally have been Bettie Page. We’re still checking.